As parents, we are entrusted with the greatest, most valuable thing in the world: our children's lives. Getting into a car accident is probably a parent's worst nightmare. You hear the heartbreaking stories, and it is something that runs through my mind every time I buckle up my kids. Did you know that motor vehicle crashes are a leading cause of death for children age 1 to 13 in the USA? In 2013, a child under 13 was involved in a crash every 33 seconds. Check out SaferCar.gov/TheRightSeat to determine if their child is in the right seat for his or her age and size and to locate a car seat inspection event in their area. Did you know you can register your child's car seat? By doing so, the manufacturer can inform you in the event of a recall. Is Your Seat Installed Properly? The right seat means nothing if the seat is not installed properly. A loose seat or incorrectly installed seat can be catastrophic in the event of an accident. NHTSA has great online resources and tips to make sure you have installation success. 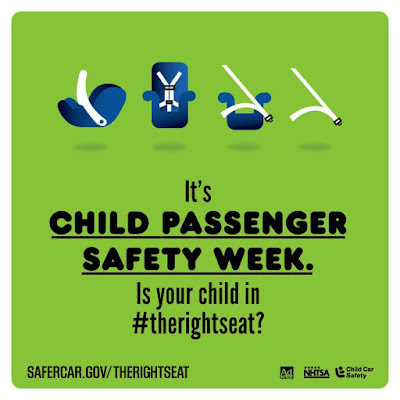 They also offer free Car Seat Inspections this week where Certified Child Passenger Safety Technicians can inspect your car seat and show parents and caregivers how to correctly install and use them. Locate a car seat check event here: http://www.safercar.gov/cpsApp/cps/index.htm? 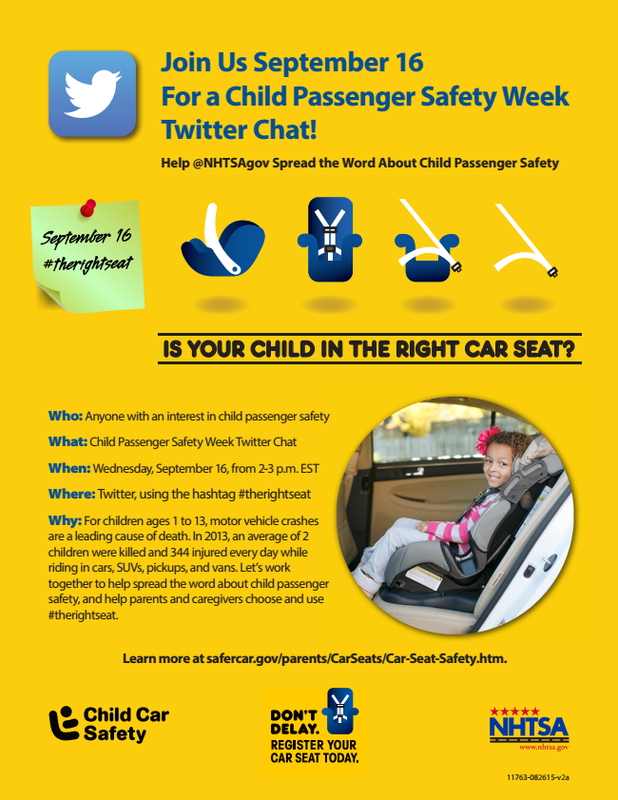 Learn more in today's #TheRightSeat Twitter Chat with @NHTSAgov from 2 - 3pm ET, where they'll be sharing valuable information and resources to keep our kids safe!